Ponds Pure White Anti Pollution + Purity Face Wash is unlike any other face wash as it not only cleanses your skin but also penetrates deep into it to remove all the stubborn dirt, dust, grime, and filth. 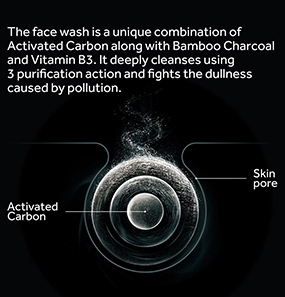 This face wash is charged with activated carbon, bamboo charcoal, and Vitamin B3, which work together to detoxify and hydrate your skin and exfoliate dead skin cells gently. 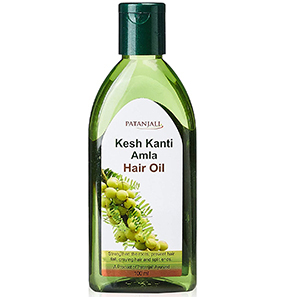 It is packaged in the signature tube of Ponds, which is convenient and easy to use. The texture of this gray face wash is creamy. 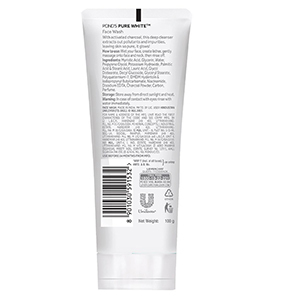 What are the ingredients of Ponds Pure White Anti Pollution + Purity Face Wash? 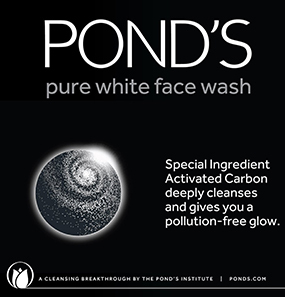 What are the benefits of Ponds Pure White Anti Pollution + Purity Face Wash? Does this face wash have any side effects? Which skin type is this face wash for? Does Ponds Pure White Anti Pollution + Purity Face Wash brightens the skin tone? Does it control acne, pimples, and blackheads? 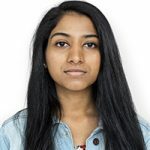 As I live in a metro, my skin care needs to be centered around the cause of all my skin problems, and that is pollution. It all starts there. I have been taking care of it by scrubbing once in a week and applying face pack during the weekends. But it is not enough. When I was on a lookout for something I could use every day, I found the perfect face wash for my pollution aid. dirt and gives me clean and fresh results every time I use it. I have oily skin, so this works well on me. I use it twice a day, i.e., after I get up and before I sleep. 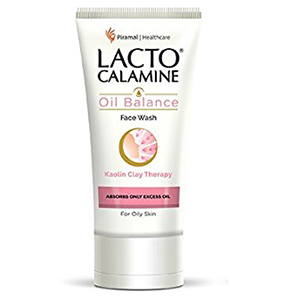 I think dry skin people can skip this face wash as it tends to dry the skin after use. But if you have normal to oily skin type, you will love it. The smell is not strong, and the scent fades away after a while. The lather it forms makes me want to keep on blending the creamy texture on my face. Just a pea-sized amount results in good foam and cleanses very thoroughly, so just a little will go a long way. 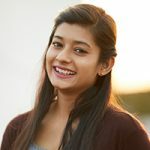 Another thing I like about this face wash is how it washes off my makeup with such ease, especially my waterproof kajal. I think it’s safe to say that it will minus the use of makeup remover. The only downfall of this product is that it does nothing for acne, pimples, and blackheads. It does clean the dirt and oiliness so that way, it doesn’t break me out. But for the present breakouts, to my observation, it does nothing. 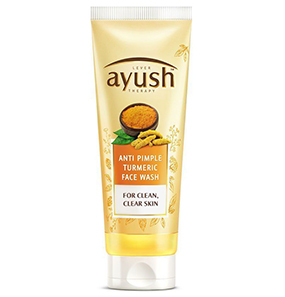 To conclude, this face wash is a good buy, especially coming with such a reasonable price. I think everyone should give it a try at least once and see how it works. Keeps Face fresh and clean! I have seen people using charcoal on their teeth to make it white so I think that speaks for itself. 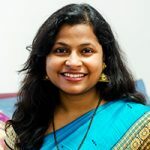 Recently, there is so much hype about charcoal products in the market. 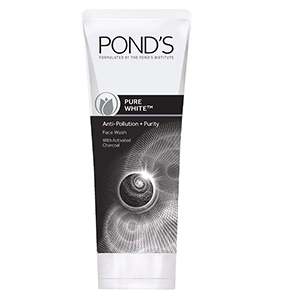 One of the charcoal product I grabbed is Ponds Pure White Anti Pollution + Purity Face Wash. 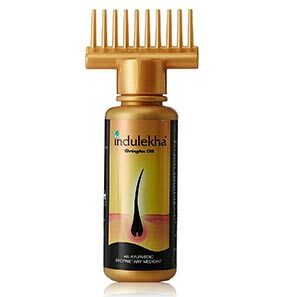 I have been using it for three weeks now, and I would say that I absolutely adore it. 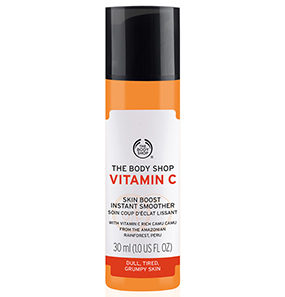 To start with, this face wash is ideal for oily skin, and I have oily skin, so this product is my bae. The creamy texture forms a good lather, and the smell is pleasing. This charcoal face wash prepares my skin for the rest of the day. It controls my sebum and keeps my face clean. And when I use it at night before I go off to bed, I feel a heavy mask of dirt has been removed from my face. 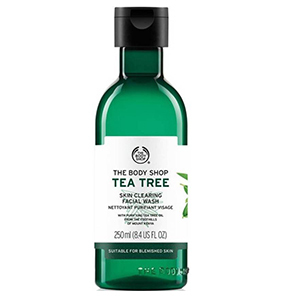 This face wash is completely a yes for oily skin types. Dry skin can also use it, but I would suggest you to use a moisturizer after washing your face. Ponds and I have memories that go back during my childhood days when my mom use to apply Ponds moisturizing cold cream on me during winter to avoid crack cheeks. 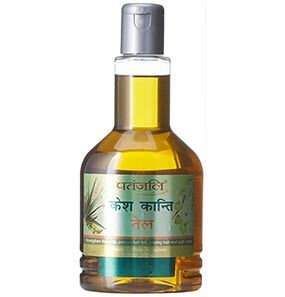 Now all their products have improved concerning formulation, packaging, fragrance, and lines of products. I have been using Ponds Pure White Anti Pollution + Purity Face Wash for almost a year, and I see myself using it for a while. I like the creamy texture, how it forms the lather, the smell, just about everything about it. I have very oily skin, so I use 3-4 times a day, and every time I use it, I like how it makes my skin dry and clean. The sleek tube lasted me about one and a half month, which is very impressive considering the price. I also like how it traces off all the dirt and makeup from my face at night before I go off to bed. This face wash is by far the best I have used. I see no cons in it. Dry Skin is a no-no! This face wash is a very good product from Ponds. 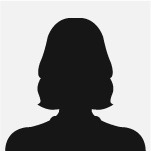 It is not overly priced and is easily accessible. But unfortunately, it did not suit me. I have dry skin, and this face wash is clearly not for dry skin. I wanted to use this face wash because it has activated carbon, bamboo charcoal, and Vitamin B3 which have proven to be really good for the skin. But after every wash, my skin gets super dry and stretchy and when I try to smile, it feels as though my skin is going to tear up. I have to apply a double layered moisturizer to feel normal again. I have stopped using it, but I wish Ponds comes up with the same formulated face wash but for dry skin as well. As of now, I shall continue my hunt for a face wash that has at least one of the ingredients from the above three. Ponds Pure White Anti Pollution + Purity Face Wash really cleanses every ounce of dirt from my skin. It does make my skin very dry right after washing, but after a while, the moisture comes back. I have combination skin so it works well with me. Dry skin will find it very drying, so you guys can skip it. 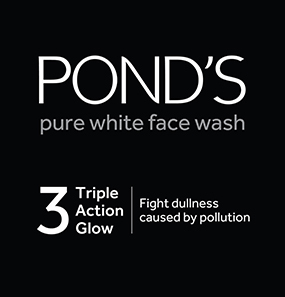 Ponds Pure White Anti Pollution + Purity Face Wash works to uncover your natural radiance. 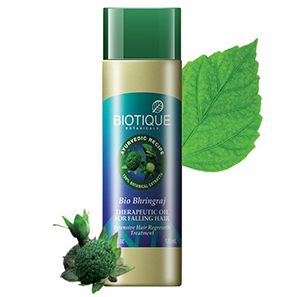 It is formulated with activated carbon, which is highly known for its beneficial properties for the skin. 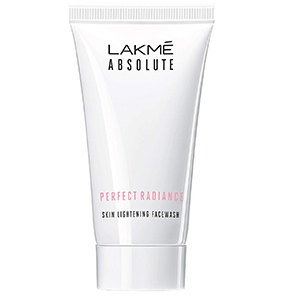 The unique formula of this face wash penetrates deep within your pores to eliminate impurities, giving you clear and radiant skin. No such reports have been recorded. Regardless, be mindful. If you feel any weird sensation, immediately stop using it. Also, if the face wash comes in contact with the eyes, rinse off with cold water. Squeeze a pea-sized amount on your palm, wet your face and slowly form a lather. A little amount will cover and clean your entire face with ease. After massaging for a minute, rinse it off with room temperature/cold water and pat it dry with a dry towel. Ponds Pure White Anti Pollution + Purity Face Wash works the best on oily and combination skin types, both in summer and winter. But for dry skin, it can get uncomfortable because after wash, it makes the skin stretchy and dry. Some dry skin types can use it during summer. No, it doesn’t. 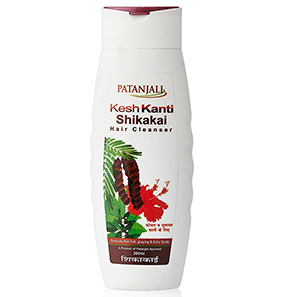 Right after wash, since it deep cleanses the skin, the complexion will look bright but it lasts just for a few minutes. No, but since it cleanses the dirt from your skin, it surely prevents it.